Remote access to equineGenie anywhere in the world using clientGenie. 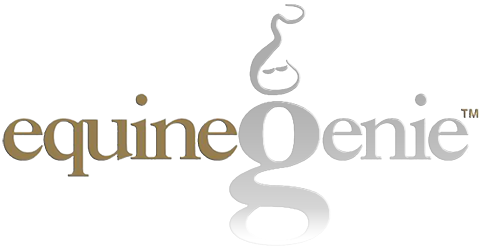 There is no limit to the number of clientGenie users signed in to equineGenie. clientGenie will operate on any computing device that supports a Windows operating system – desktops, laptops, flip tops and/or tablets. clientGenie is sold separately from equineGenie. clientGenie has an unlimited site license and can be installed on an unlimited number of computing devices that support a Windows operating system. The equineGenie/clientGenie connection is encrypted, high-speed and reliable. The connection can be over a LAN, a WAN, or the Internet. clientGenie mirrors equineGenie in features, functions, and reporting. The clientGenie software enables multiple users to use equineGenie at the same time, using the same screen. When the Enter button is selected on a clientGenie screen, the clientGenie data is automatically transferred to the equineGenie database without fear of being lost, hacked or corrupted. The equineGenie/clientGenie network is better than a web based solution because there are no other computing devices in the connection path and you are not competing with other users for connection time. The equineGenie/clientGenie solution is much faster, more secure and more reliable.